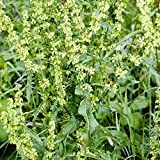 Rumex crispus growing leaf plant herbaceous of the genus Rumex also known as Curly dock or Yellow dock, Rumex crispus perennial evergreen plant, can grow in temperate mediterranean or subtropical climate and growing in hardiness zone 4-10. 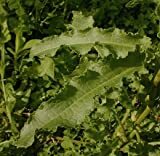 Leaves edible color green the shape is elliptic size can be 7-25 cm. Flower color green with little red in the edge, shape bell-triangle, the flowers grow on stems in inflorescence. Green flower with little red in the edge, shape bell-triangle, the flowers grow on stems in inflorescence.